What makes a restaurant successful? This definition will depend on who you’re talking to, but the majority of restaurateurs agree that profitability (how much money you’re bringing in after all your expenses have been paid) is a big one. However, profitability can make even the toughest, most financially-minded restaurateurs feel squeamish and not sure where — or how — to start. This means it's time to calculate your restaurant overhead rate. Do you know how to calculate overhead rate in your restaurant? If you don’t, how are you measuring profitability? 5 ways to reduce your restaurant overhead to boost profitability. Let's start with a quick history lesson. Profitability is not a modern concept. A vendor hawking food on the streets of ancient Rome has the same question as a 21st century Asian fusion kitchen owner: is my business making money? Luca Bartolomeo de Pacioli, a thirteenth-century mathematician from Italy (commonly referred to as the “Father of Accounting”), is credited with creating what we now know as cost accounting. Cost accounting is the foundation on which businesses of all stripes — including restaurants — assess profitability and generate extra cash. Now that we’ve travelled through time, let’s focus in on the task at hand: restaurant overhead rates. In less technical terms: overhead rate — typically expressed as a dollar amount or a percentage — represents any cost outside of materials and labor. To keep their business afloat, many restaurateurs will jack up their price per menu item, but as you’ll see in a minute, there are other, craftier ways to drive that number down. In business, there are plenty of indirect costs (rent, salaries, etc. ), and a bundle of allocation measures. With allocation measures, however, you’ll most often find businesses using direct labor hours (though there is a time and place for alternatives like direct labor costs and even inventory costs). Why Is Overhead Rate Important? It’s simple, really: lower overhead means greater profit. And as any restaurateur will attest, anything you can do to nurture your restaurant profit margin is a worthwhile investment. 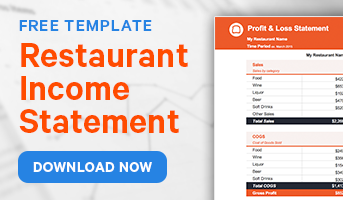 Once you’ve roughly estimated your restaurant overhead rate, you can begin strategizing ways to bring that number down (without compromising your quality of service, of course). Let’s accumulate some nickels, shall we? 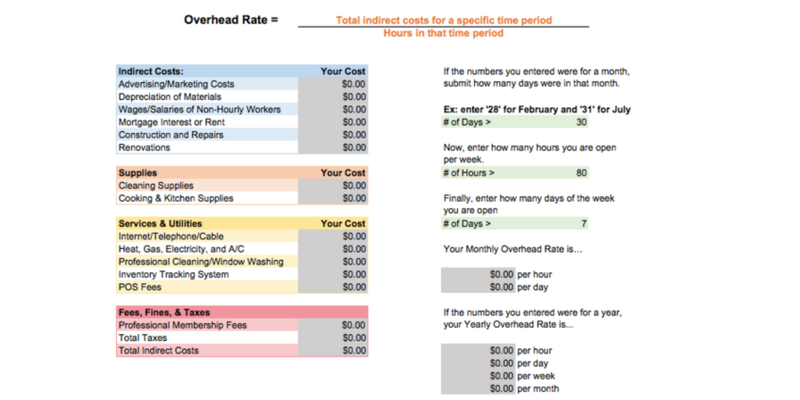 Using the example of direct labor hours, here is a calculator to compute your own business’ overhead rate for one month. Meet Joe. Joe owns a popular independent full-service restaurant who recently reduced his hours of operation. He’s interested in calculating his restaurant’s overhead rate for the month to determine how this operational decision will impact his bottom line. In the past, Joe’s overhead “sweet spot” hovers around $25.00. A total sum of indirect costs (things like technology, advertising and marketing, and rent). These costs work out to $20,000. An allocation measure — in this case, the total number of scheduled labor hours. A quick look at Joe’s restaurant scheduling software lets him know his team is scheduled across 600 hours. Using the ‘Overhead Rate = Total Indirect Costs / Allocation Measure’ formula (or the handy calculator we’ve built for you above! ), Joe learns his overhead rate is $33.33. It’s important to mention overhead cost can be calculated using either actual costs or budgeted/forecasted costs. Which route you choose gives context to the number your calculator spits out: if you’re working with forecasted figures, you’re computing a predetermined overhead rate. This rate is essentially an educated guess, and is a great way to model or map out your operations. As you can imagine, Joe wasn’t thrilled with the $33.33 result. When tasked with reducing a restaurant’s overhead rate, many restaurateurs head straight for the indirect costs. However, an often overlooked and underestimated alternative is to reduce your labor hours allocation. It’s possible your restaurant’s employee scheduling software seamlessly integrates with your restaurant POS system. If it does, you’ll have easy access to data from both pieces of technology to spot trends and discrepancies. For example, you might discover you are scheduling one too many servers on weekday evenings; this a simple fix with sizable gains, since adjusting your monthly labor hours (and associated labor costs) can dramatically reduce your overhead rate. Another way to reduce overhead is to use the collective knowledge of your staff. Sometimes restaurant managers and owners incorrectly assume they have eyes on all corners of their business, when in reality they should be turning to their FOH and BOH teams for juicy (and sometimes surprising) operational insights. Your staff are a valuable resource and can help you spot excess overhead you might otherwise have missed. To keep your team in an “optimization mindset,” implement a reward system for staff who identify overhead drivers. Something as simple as a gift card or a work-free weekend can go a long way. After all, incentives work! Another major overhead culprit is legacy technology. 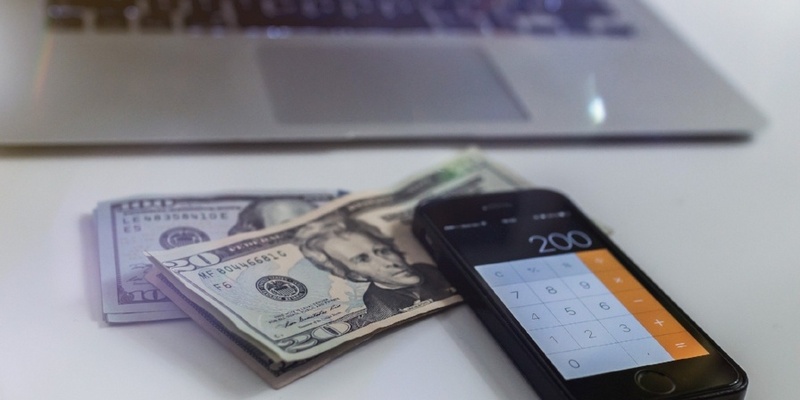 Landline telephones, clunky POS systems, and dated management and payroll software might incur lower fees, but the impact on your bottom line is not to be ignored. Investing in modern, user-friendly technologies opens the door to things like automation and an infinitely more robust set of features, data, and analytics. Unless you have a crystal ball, stop ordering inventory for bulk discounts. Spoiled food spoils your profitability. Instead, focus on reducing inventory wastage; just-in-time (JIT) orders, regular stock audits, and making sure to reconcile deliveries with purchase orders will help you in this pursuit. And let’s not forget about smart inventory solutions like BlueCart that will automatically place an order for you when supplies are running low and Toast's integrated inventory software which syncs directly to your POS. Unless you operate a food truck or a pop-up restaurant, your physical storefront accounts for a substantial chunk of a restaurant’s indirect costs. While the most obvious tactic is to negotiate the best lease possible for your restaurant (or consider renting it if market forces allow), another option is to sublease your space to a complimentary business. For example, if your business operates a lunch and evening service, consider subleasing your kitchen space in the morning to a caterer or food truck who can enter, work, and leave without impeding your ability to do business as usual. Calculations aren't every restaurant owner's cup of tea, but they're an important part of the job that help keep your doors open. Take some time, do the math, and start working on ways to lower your over head rate. 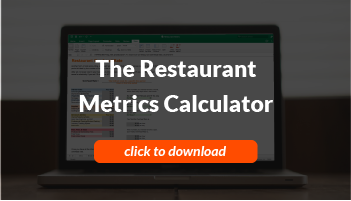 Download a free copy of the Restaurant Metrics Calculator below! The cost of food has risen by over 25% in the last five years. How are you keeping your food cost under control? Before you dive into restaurant ownership, make sure you know about the expenses that sneak their way into your budget.